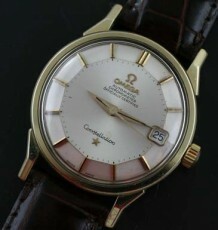 Rare solid gold Omega Pie-Pan dial Constellation. This watch has to be seen to be believed, the original Pie Pan dial, signed Omega and Tiffany and Co. makes this watch doubly rare. 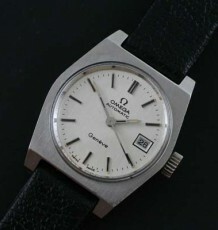 The Pie Pan dial is still highly sought after by Omega collectors around the world. 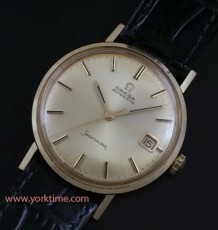 The solid 14 karat gold case is in excellent condition with the stepped lugs that were typical of Omega’s in the early 1960’s. 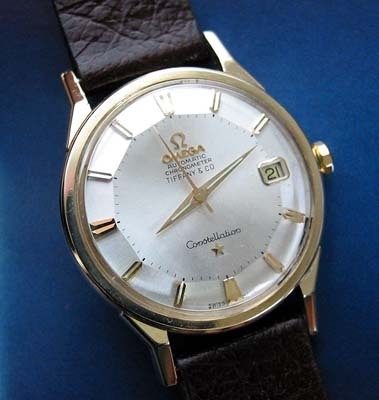 Please note the original gold capped Omega signed crown. 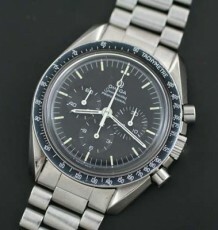 The watch is fitted with an Omega Chronometer rated Caliber 564 which was just serviced and is performing flawlessly. The watch measures 34mm wide by 43mm and is supplied on a brand new padded brown leather strap.